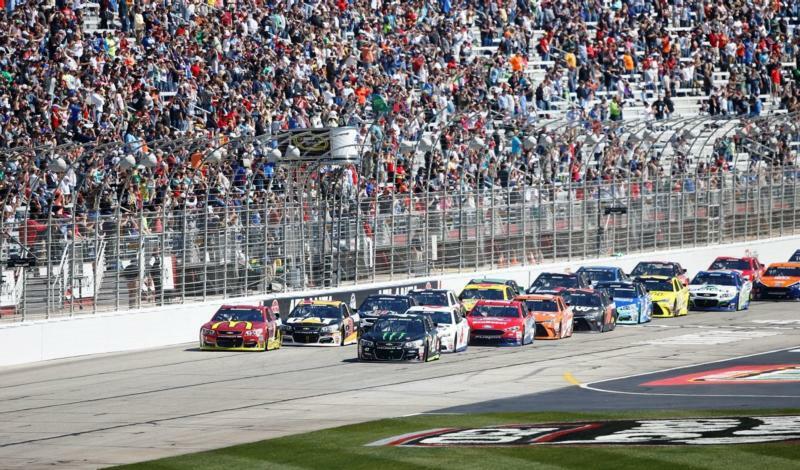 Monster Energy NASCAR Cup Series racing will make its thunderous return to Atlanta Motor Speedway on Feb. 24, 2019. Headlining next year's NASCAR Weekend, the Cup Series will bring the biggest stars of stock car racing back to Atlanta's historic high banks with 500 miles of edge-of-your seat action and the 97th consecutive race of that length at AMS. Tickets for Atlanta's 2019 Cup Series race are available now, starting at just $39 or just $79 for the entire race weekend. Camping specials, suite upgrades, pit passes and more can also be purchased, and buyers who lock in their plans for the 2019 race weekend before June 8 will become a member of Atlanta Motor Speedway's elite Insiders Club, which offers exclusive access and rewards all year long. Official dates for both NASCAR Xfinity Series and NASCAR Camping World Truck Series events at Atlanta Motor Speedway in 2019 will be announced in the coming weeks. For more event information and to purchase tickets today, fans can contact the Atlanta Motor Speedway ticket office at (770) 946-4211, (877) 9-AMS-TIX or visit www.atlantamotorspeedway.com.